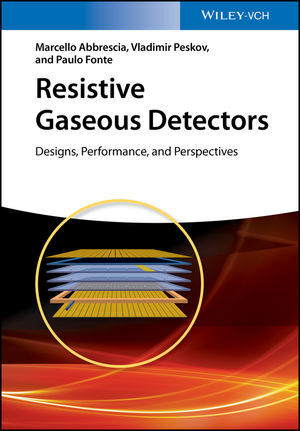 This first book to critically summarize the latest achievements and emerging applications within this interdisciplinary topic focuses on one of the most important types of detectors for elementary particles and photons: resistive plate chambers (RPCs). In the first part, the outstanding, international team of authors comprehensively describes and presents the features and design of single and double-layer RPCs before covering more advanced multi-layer RPCs. The second part then focuses on the application of RPCs in high energy physics, materials science, medicine and security. Throughout, the experienced authors adopt a didactic approach, with each subject presented in a simple way, increasing in complexity step by step. Marcello Abbrescia is professor at the Bari University, Italy, and associate researcher for the Italian Institute of Nuclear Physics. Since the beginning of his scientific career he has been working on gaseous detectors and specifically Resistive Plate Chambers. He is member of the CMS collaboration at CERN, where he contributed to design and build the CMS/RPC system, being also responsible for its upgrade toward the High Luminosity phase of LHC. He developed one of the first models describing RPC behavior, and lead researches on RPC for applications in humanitarian demining. He is also coordinator of the Extreme Energy Events collaboration, and author or co-author of more than 700 papers on particle physics or instrumentation for particle physics. Vladimir Peskov is chief scientist at the Institute for Chemical Physics Russian Academy of Sciences (RAS). Having obtained his academic degrees from the Institute of Physical Problems RAS in Moscow, he worked in the Physics Laboratory RAS led by P.L. Kapitza where he discovered and studied a new type of plasma instability. In 1986 he obtained an Associate Scientist position at CERN in G. Charpak's group and later spent most of his career working at various Scientific Institutions (CERN, Fermi National Laboratory, NASA and the Royal Institute of Technology, Sweden) on the instrumentation for high energy physics, astrophysics and medicine. He is author or co-author of more than 200 publications, three scientific books and twelve international patents. Paulo Fonte is professor at the Institute of Engineering of the Polytechnic Institute of Coimbra and senior researcher at the Laboratory for Instrumentation and High Energy Particle Physics, Portugal. Made his doctoral work at CERN in G. Charpak's group, collaborating closely since then with V. Peskov in many detector-related themes. He has been deeply involved in the original development of timing Resistive Plate Chambers and his group has pursued the extension of this technology towards new capabilities and applications, being responsible for the RPC TOF wall of the HADES experiment. He is member of the HADES and RD51 international collaborations. With a special interest in detector physics, he authored or co-authored about 180 publications.